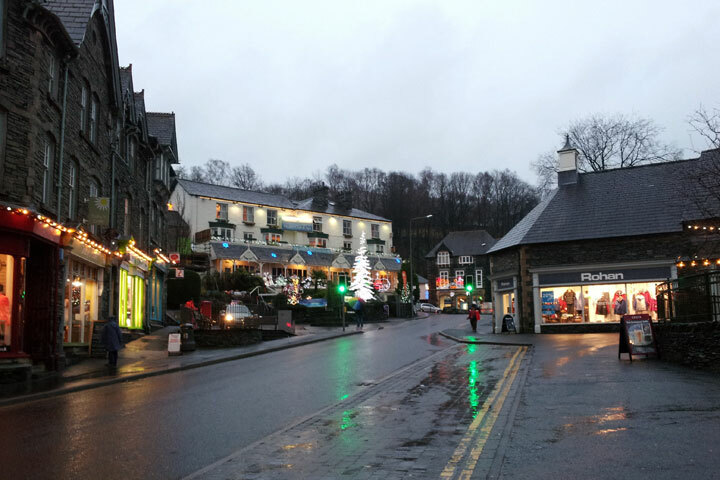 Ambleside is one of the best towns in the Lake District. Not as touristy as Bowness but with some decent shops, cafes, restaurants and cinema as well as being a good centre for walking. We like to snack and dine in Zeffirelli's or dine in Fellini's its sister, usually with a meal and cinema package as the cinema is pretty good with 3 buildings. Note they're vegetarian although you may not notice.. If we're looking for an easy walk we go through the park at the back of the church over the bridge and turn right under Loughrigg and turn left towards Rydal Water just before the end. 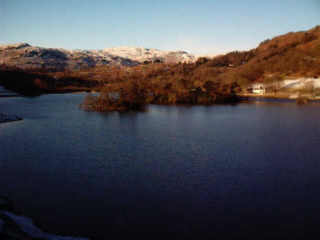 Nice view at Rydal Water. It's a few miles but fairly flat and quiet. Another walk is behind the Salutation up to the waterfall which isn't too far at all although a bit of a climb. It's also quite a long way from the lake to the town centre. A carriage usually meets the boats for transport into town. There are cafes and shops at the boat stop. It's quite good feeding the birds as well. Nearby is a park and just beyond it are some Roman remains. 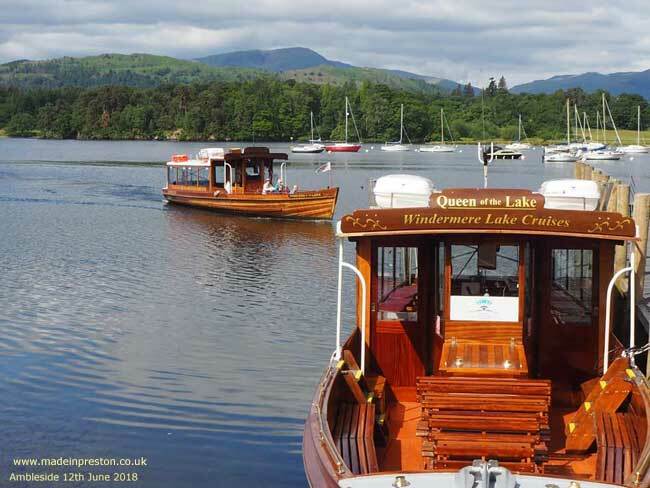 A great trip on the Green Route which is a 45 minute circular boat ride, on Princess of the Lake. June 2018. Car Parking in the Lake District is very expensive in 2012. We paid £7 the other day because we wanted to stay to see a film. The night tariff is confusing as well. It's annoying, one way round it is to park in the road somewhere outside Ambleside for your walk and then drive in later. Or you could park in Hayes Garden Centre and wander round there and have a coffee, then drive to the car park, saved us a couple of pounds once. It's the principle of councils squeezing the motorist that is annoying. 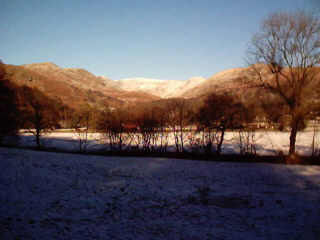 Pictures taken during a 90 minute walk towards Rydal Water from Ambleside. December 2001. 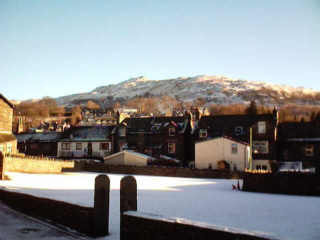 Looking towards Wansfell Pike from the church. 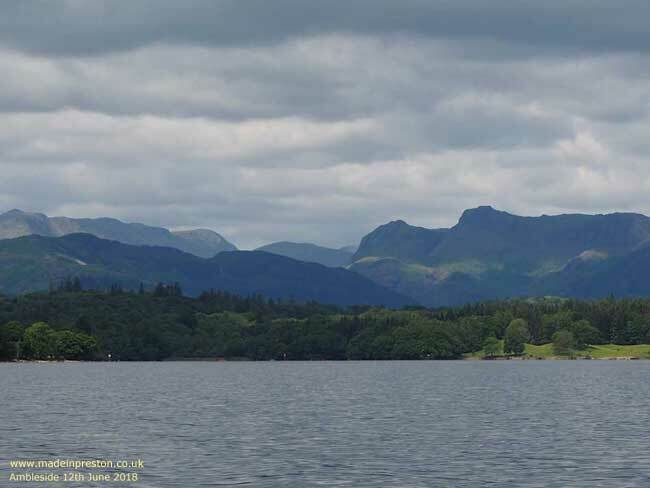 Ambleside, Looking at the Fairfield Horseshoe from the park. Just one and a half miles from Ambleside. 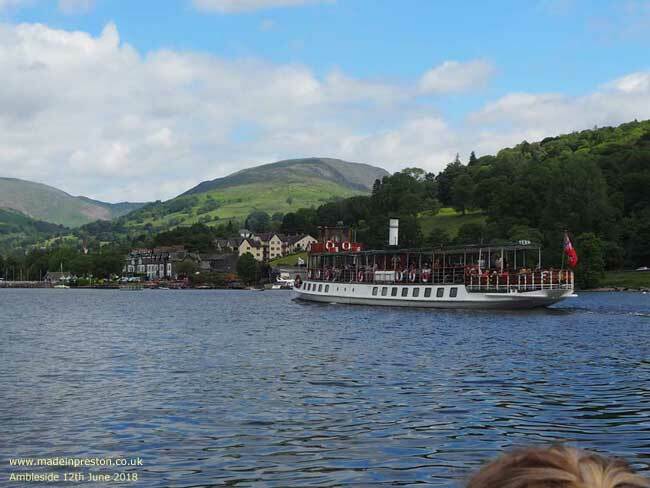 Nice walk to go along the lakeside to Loughrigg Terrace and Grasmere. 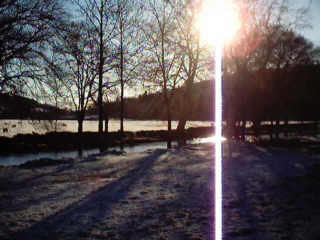 The mid-day sun on 29th December 2001. How low can you get.